Medicare fraud is an enormous problem in the United States. This service, which is supposed to provide healthcare for retired or disabled individuals, is rife with fraud and corruption. In 2017, there were nearly $52 billion in improper Medicare payments. As the projected spending for Medicare continues to increase, these improper payments could cost taxpayers hundreds of billions of dollars. HIT is serving a growing role in protecting against Medicare fraud. How can HIT save the American taxpayer money in the long run? 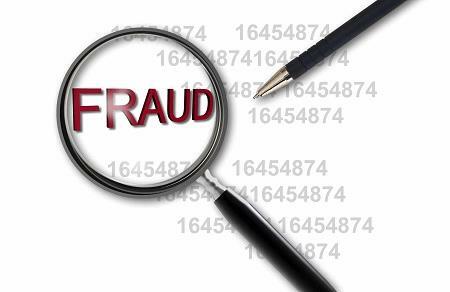 First, how does the medical community define Medicare fraud? How does it happen? Any bill sent to Medicare for services that weren't performed, ones that were up coded to make them more expensive, or bills that are entirely falsified are all considered Medicare fraud. In 2016, billing for missing or not medically necessary services accounted for 46 percent of fraud cases. Around 25.5 percent were falsified claims, while 20 cases involved physician kickbacks — where a medical professional gets paid for prescribing a drug or procedure, regardless of whether it is necessary for the health of the patient. Writing prescriptions for unnecessary medication and upcoding for unneeded services make up 12 percent of fraud cases. This unethical behavior takes money away from patients who need Medicare services and makes it more difficult for physicians to provide care for their patients. Passed in 1863 by Congress, the False Claims Act, or Lincoln Law as it was first known, is in place to prevent or punish Medicare fraud. It allows the government to demand repayment of funds from physicians to commit fraud, in addition to damages. They amended the law in 1986, and since then have recovered more than $35 billion in misappropriated Medicare funds. Health Information Technology is evolving before our very eyes, and new tools are emerging to help combat Medicare fraud before it happens. Most medical facilities rely on electronic healthcare records (EHRs) to keep track of their patients. Together with trained healthcare information management (HIM) workers, these records could potentially be used to stop fraud before the payment requests are sent to Medicare. Eventually, this detection could be automatic, through the use of machine learning and predictive algorithms. These programs could sort through EHRs and detect fraud by relying on data collected from past cases. With enough accurate data, these programs could even predict where fraud is likely to occur with a surprising degree of accuracy. A Florida Atlantic University research team proved the potential for this technology by identifying fraudulent Medicare Part B claims using data collected from 2012 to 2015. For the time being, however, preventing Medicare fraud is the purview of the HIM team, but the potential applications for this technology when it comes to avoiding fraud are limitless, as long as it has enough data to sort through. HIM teams will always be necessary to oversee the program and ensure they are secure and that no protected health information is leaked. Advances in biometrics technology may also help to prevent Medicare fraud. Hospitals and care facilities can use a patient's unique biometrics — handprints, fingerprints or iris scans — to verify a patient's identity. While this won't prevent physician kickback or unnecessary procedure fraud, it can avoid cases where a professional creates a fictional patient for Medicare claims. As of September 2018, the House of Representatives passed a new bill that requires the Centers for Medicare and Medicaid (CMS) services to run a pilot program for a new smart card that will fight Medicare fraud more directly. First proposed in 2013, it will give providers the tools to authenticate their patients before providing care. Once it passes the Senate and receives a presidential signature, the pilot program will need to be in place within three years. The pilot program will take place in three different cities, with roughly 2,000 medical professionals participating. Medicare fraud is costing the American taxpayer billions of dollars every single year, and most of this monetary waste could be prevented. Healthcare information technology is growing and changing and will continue to advance into the future as a tool to prevent Medicare fraud before it starts. Most of these technologies are in their infancy, and none of them are ready for mainstream healthcare applications as of the time of this writing, but it is a step in the right direction to finally put an end to Medicare, Medicaid, and Tricare fraud. Some of these new technologies, like biometric patient scanners, will require an investment from healthcare facilities, but other programs like the Medicare Smart Card won't cost a thing — the CMS will provide these cards to all Medicare patients free of charge. HIM teams will still need to monitor the systems to ensure that they are working efficiently and preventing fraud, but once it takes off, Medicare fraud may become a thing of the past, thanks to HIT.